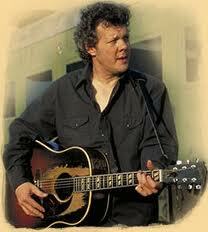 Tune in at 3:30pm this afternoon when Steve Forbert visits the KXCI studios on The Home Stretch. KXCI, TKMA and Rhythm and Roots welcome Steve Forbert as he celebrates the 35th anniversary of his debut album Alive on Arrival. Steve will sing Alive on Arrival from front to back and other great hits as well at his concert at Plaza Palomino this Friday, April 5th at 7:30pm. This will be an outside show in the courtyard of Plaza Palomino. Steve, along with Blue Corn Music, has re-released a double album featuring his first two albums, Alive on Arrival and Jackrabbit Slim, along with 12 bonus tracks.